In this guide I will show you what options you have to backup your database using Windows Server Backup, then I will show you what additional actions you will be able to do with the tool and finally, I will show you how to perform a DB recovery. 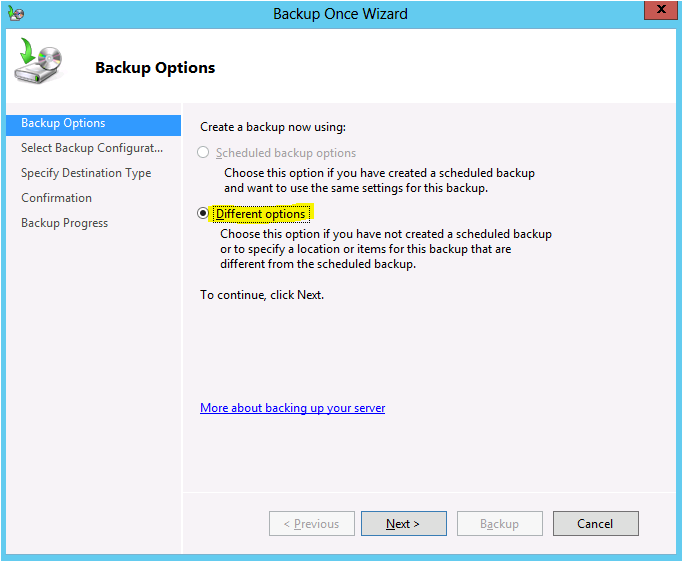 1 ) Creating a Backup using Windows Server Backup. 2) Performing a Restore from a Backup we created on a separate drive. Most organizations use 3rd party tools to perform backups of their mail servers such as Backup exec or netvalt. In this guide I will show you how to perform the exact processes you would if you would’ve used any of the 3rd party tools using a feature that exists in Windows Server. This tool by Microsoft is Free (License is needed) and is Built-in the System. All you need to do is to install Windows Server Backup , I Recommend installing it on a separate server and not on the one that has Mail Server on it , you may notice I installed it on the same server that has the mail server on but the reason is that I lack system resources for another VM machine. Before starting with the backup we must check which Database hold the Exchange server. The first step I’ll do on that Exchange server is to install a Role named Windows Server Backup. 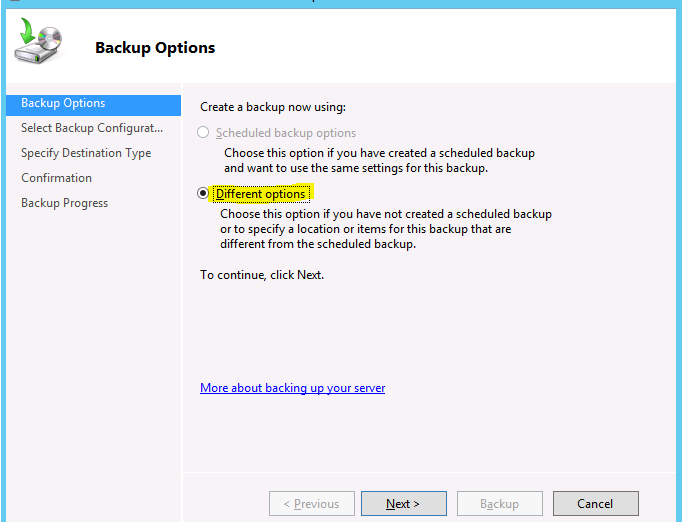 As you see we have 3 options to choose from: Backup Once, Backup Schedule, and Recover. In the screenshot below you can see I’m not interested in a scheduled backup but in an instant backup. Perform a full backup or to a custom backup. The option I ticked means that I’m not using any 3rd party tools in the backup process. Warning: Don’t save the backup on a local drive !! This was done in this way only for the use of this guide. It is not recommended because as soon as our server will be damaged also our backups will be lost. I have created a reasonable amount of emails in the mailbox and then a created the backup (Part 1), Then I Deleted the emails (Also from Deleted items). In the screenshot below you can see that my mailbox is empty, now let’s start with the restore. I opened a new folder named Restore Backup in drive C:\ and I will perform the restore to there. Soft Recover: we will use this only when the database requires us to perform a manual restore using different parameters. This action will connect the log files to the database and will allow us to mount the database. During this guide, you will notice I have used Eseutil /r on a Eoo file that the log file writes to the Chk file (checks the transactions). Recovery has been successfully completed. After switching the database clean shutdown status we can advance to the next command that allows us to restore, there are some nice commands. I would like to check whether the database is mounted or not. After creating the database and checking that the database has been mounted all that is left is to complete is the last restore process, I have requested to restore emails of the administrator account. We have a final request after we finish the restore process. So what do we leave? Looks like everything has been completed without any issues.